I've had a small canvas sitting in the art cupboard for a while, just waiting for a new art project. The size and shape of it was just perfect for a small name so I decided that my toddler (just under 2 years old) could make himself some art for his room whilst also helping with his name recognition. 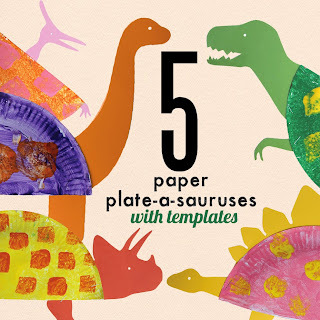 To do this with a toddler I thought the easiest way would be some simple tape-resist art. Prepare your canvas by making the letters out of tape. The straight lines are obviously the easiest but if you're after curves, you'll need some scissors to trim around the edges. Let your child paint over their letters to their hearts content. I tried to choose colours that would complement one another but I was conscious of the fact that it could all very easily turn to brown. I was more than happy for Noah to do his thing with this one and didn't want to control the paint and the colours too much. At some point he put a gigantic amount of orange paint over the top and couldn't resist ditching the paint brush. This added a different sensory element to his experience and we could talk about the feel of the paint and how he was swirling it around. When your canvas is covered with paint, set aside to dry. When the paint is dry, peel away the tape to reveal the word written underneath. The kids LOVED this part! Proudly display your new name art. 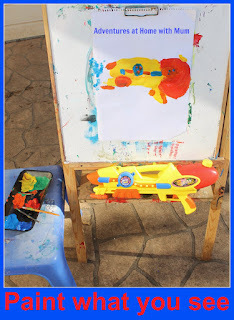 - Simplify this activity by squirting the paint onto the canvas directly and letting your child swirl the paints over the canvas to cover it, with their hands. 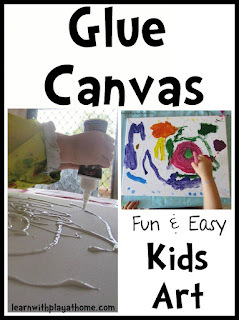 - Extend this activity by having the child help you with putting the tape on the canvas. If they are unable to stick the tape themselves and form the letters, encourage them to help you figure out with letter comes next and where the lines should go. - Talk with your child about what they are doing. This will help them understand the physical and mental processes they are going through as well as giving them the vocabulary to describe it. Working side by side with children while they are being focused is also a good time to talk with them about sensitive issues and their feelings. 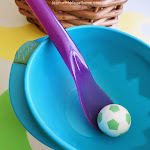 - Use new language and descriptive words like, "spread," "swirl," "stripe" etc. This will help with their language development. 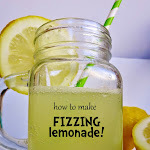 Here are some of our latest posts with Arty Ideas for Kids. Click the picture to see the post in full. Oh my goodness! He is just the cutest, Debs! Look at that proud little face. LOVE!!!! 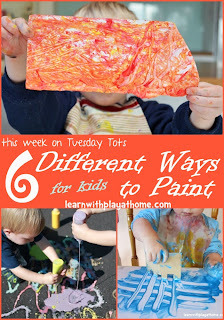 Such a great activity that little ones can do! I actually like that the tape you used didn't get the perfectly straight lines. Well done Noah!!! He is a cute little artist. And does great with the brush already <3 We are still finger painting only. I love your tips at the end: thanks for posting! A classic, but such great fun! It turned out really well too :-) Dino Boy did one a couple of years ago now and really enjoyed the magic of pulling the tape up. That bit is very, very fun! I'm itching to do my own canvas with abstract lines and shapes! Looks so good! Love it! What a bonus. 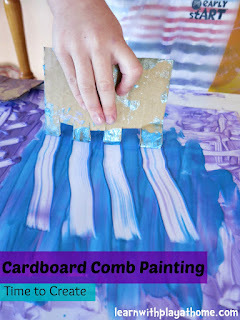 Let the kids explore paint and end up with a beautiful piece of art to display. He is very sweet using the brush :) Sar's getting quite good with a brush too. We do love making paintings here too :) I think Jack would really like putting the tape on to make his own name. This is a great idea! :) We've done some silhouette art using a paint resist technique. I know Miss Daisy would love to see her name disappear then reappear in such a wonderful way! I think we'll try this - we too have spare canvases! haha!! What a great idea! It would be fun to make one of these a year. We did this recently in our summer art camp and since the kids were a bit older they were able to put the tape on themselves. 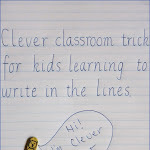 We first wrote their names with pencil and they put he tape over the pencil marks. It wasn't a great idea in hindsight since it was impossible to get the pencil marks off the canvas. Since the kids we did it with were older we had them section off the canvas and paint in different parts with different colored paints. Gorgeous Debs! I love the orange mixing with all of the other colours - it reminds me of a page right out of The Hungry Caterpillar. Noah is beyond adorable in these pics as well! 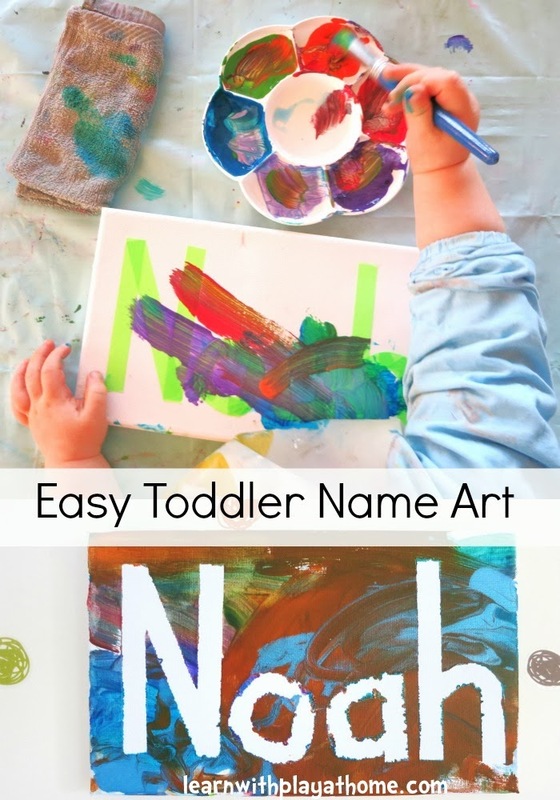 What a gorgeous way to allow that flow of creativity and still end up with something that isn't just swishy brown LOL (I have seen many, many painting of swishy brown from my little one - they love mixing colours!). Lovely idea!! 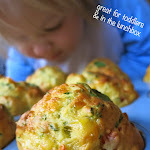 I love those little toddler hands - too cute.